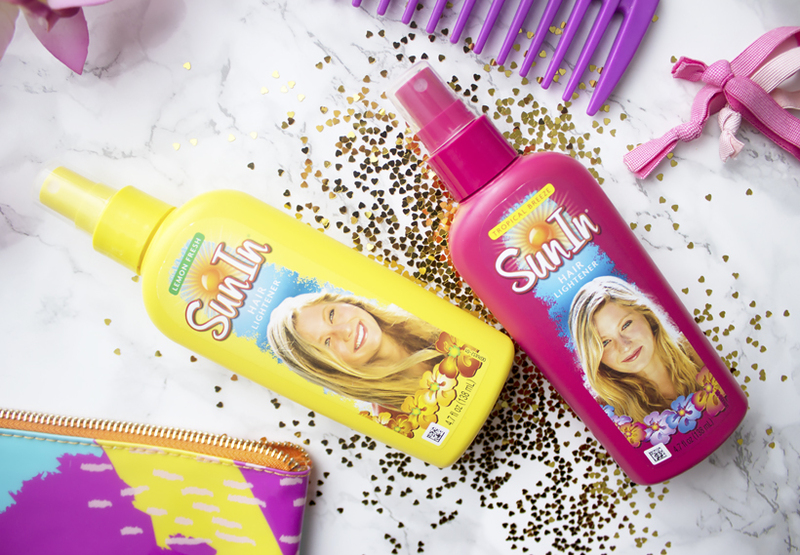 Bring out your natural highlights with SunIn Hair Lightening Spray! 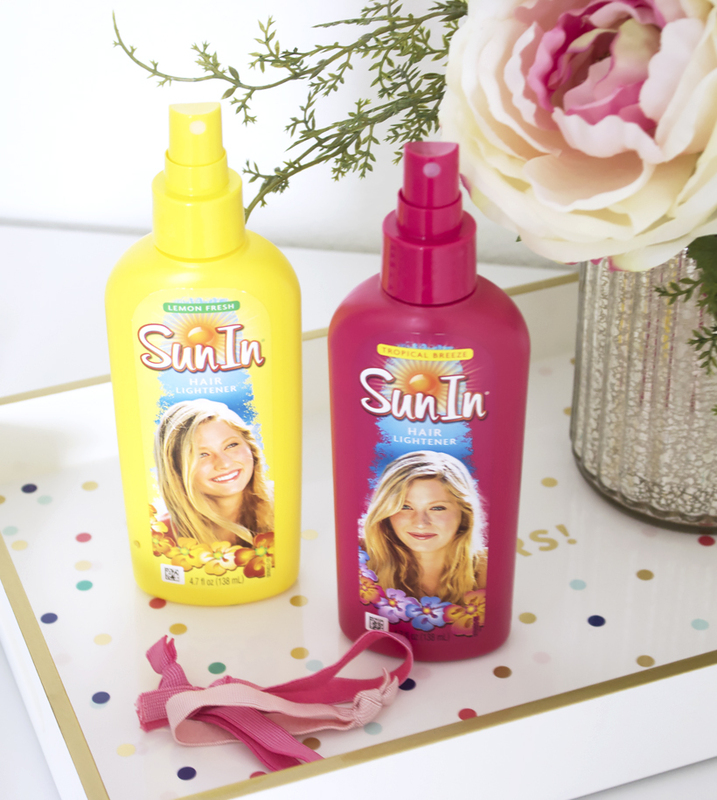 SunIn is a popular hair lightening spray that has been around since the 70's, yes that long! I heard about it from my friends recently, but that's because I wasn't born in the US and never really had the opportunity to try it until now. I love natural highlights you get in the summer and currently I enjoy my hair being lighter than darker (I am a natural brunette). I couldn't be more thrilled to try a hair product that can deliver results that don't necessarily require lounging in the sun, especially since summer is long gone here in Virginia! To bring out your hair's natural highlights all you have to do is spray your damp hair with SunIn and apply some heat, in which case I just use my hair dryer, and that's it! It's quick and easy plus both SunIn scents I have smell awesome with the Tropical Breeze being my favorite at the moment. It is also worth mentioning that SunIn is alcohol-free and contains botanical extracts and illuminators that give hair that shiny sun-kissed look that I am all about! 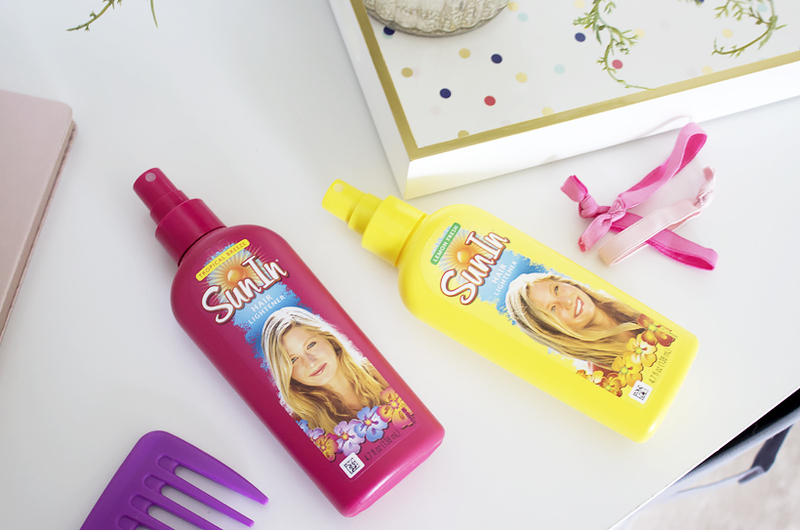 If you are worried that SunIn won't work on your hair because it's too dark, this product brightens not only blonde but also darker shades like medium- brown hair. Since I already have some blonde highlights I use the spray all over my hair, but you could use it in a more targeted way, on your roots for example. I am very happy that I discovered this affordable and effective hair lightening spray which not only helps me extend the time between salon visits but is also fast and easy to use. SunIn currently retails at a little bit under $5 (what a deal!) and you can find it at your local Walmart!